Morehead City is surrounded by a centuries-deep maritime history, a wide array of unique coastal ecosystems, and a vibrant artistic culture, and as a result, it’s the perfect place to learn all about the Crystal Coast and beyond. From in-depth museums that are stocked with research materials to natural islands where the wild residents can be viewed up close and personal, every exploration seemingly contains a little education and a lot of fun in this wholly unique coastal town. Start your studies by checking out these incredible attractions where entertainment and education always go hand in hand. History Museum of Carteret County – also known as The History Place – is a catch-all destination for learning just about everything there is to know about the roots of the Crystal Coast. Boasting a research library with more than 10,000 materials or publications, a conference center and auditorium where special events are held, and a charming museum component, this destination is a welcome sight for all sorts of visitors, from area documentarians and researchers, to casual explorers who want to learn more about Morehead City and the surrounding regions. The museum is open daily to the public, and has a series of exhibits that shine a spotlight on a particular chapter in Carteret County’s history, like its initial beginnings as a fishing town or its role in the Civil War. As a result, veritably every visit presents an opportunity to learn something new, which makes this museum that’s stuffed with artifacts, first-hand accounts, memorabilia, and military pieces an always engaging stop for newcomers and frequent Crystal Coast visitors alike. 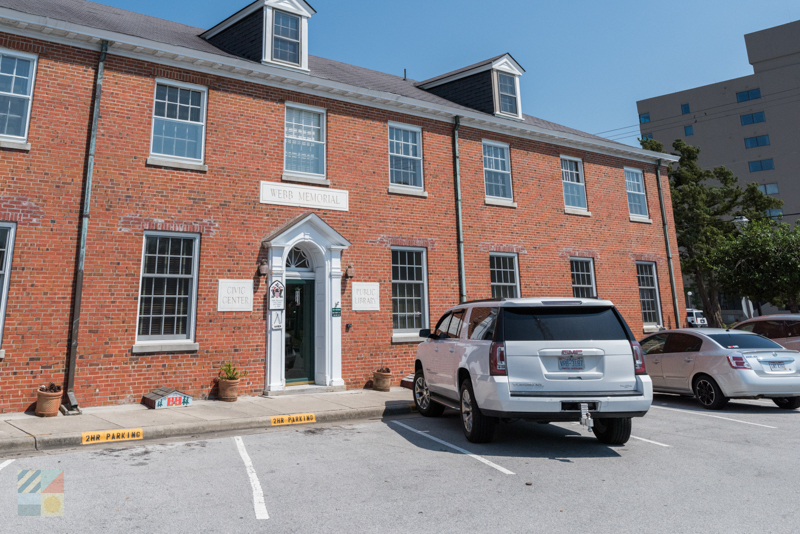 Visitors who want to learn more about the extensive Morehead City and Crystal Coast arts scene can start their exploration at the centrally located Arts Council of Carteret County. Situated in the heart of the downtown area, this quintessential stop for artists and art lovers alike features regular exhibits and gallery showings of both regional artists and acclaimed masters from all around the world. The Arts Council itself hosts a wide range of exhibits throughout the year, and also serves as a solid resource to discover more about the art community in Morehead City and beyond. To expand an education, visitors can also tour the town’s dozen or so art galleries, where local talents are on full display, and art lovers can find a wide array of one-of-a-kind pieces in a never-ending range of mediums. In addition, many local businesses and galleries offer special exhibits and / or classes for adults and kids, which makes furthering an artistic education even easier, and much more fun and engaging. 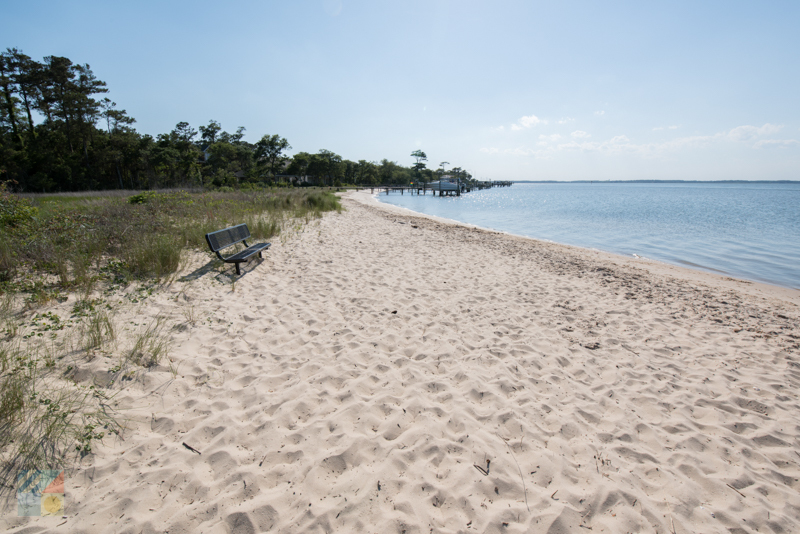 A slice of natural coastal life is found just 1/10 mile away from the heart of Downtown Morehead City, courtesy of the pristine and beautiful Sugarloaf Island. This roughly 22 acre island is located just across the Harbor Channel from the downtown waterfront, and is the perfect destination for birdwatchers and wildlife enthusiasts to embark on a picturesque and natural exploration. The island, which is managed by the Town of Morehead City, features on-site restrooms, a floating dock, and a nature trail that cuts through shrub thickets, small patches of maritime forest, marshes, and soundside sandy beaches, which presents a first-hand look into a variety of coastal habitats. During a stroll along the nature trail, visitors can expect to see a wide array of local mammals, reptiles, crustaceans, amphibians, and dozens of different species of birds, which makes it a wildly educational adventure that visitors won’t soon forget. The easiest way to reach Sugarloaf Island is via a paddle or short cruise across the channel, although visitors may also find water taxi and ferry options waiting alongside the Morehead City docks. Fun for all ages, this natural destination presents the local landscape of the Crystal Coast in an entirely new light. The Webb Memorial Library and Civic Center – also known affectionately as simply “The Webb”- is an extensive library that’s located in the heart of the downtown area, and which acts as a venue for educational programs, a community center, a civic meeting center, and a number of other educational or community oriented pursuits. The Webb hosts regular children’s programs, which includes a twice-weekly story hour that’s held on Wednesdays and Thursdays – as well as a number of unique classes or programs for visitors of all ages. In addition, the expansive Webb is home to the acclaimed S.E.A. 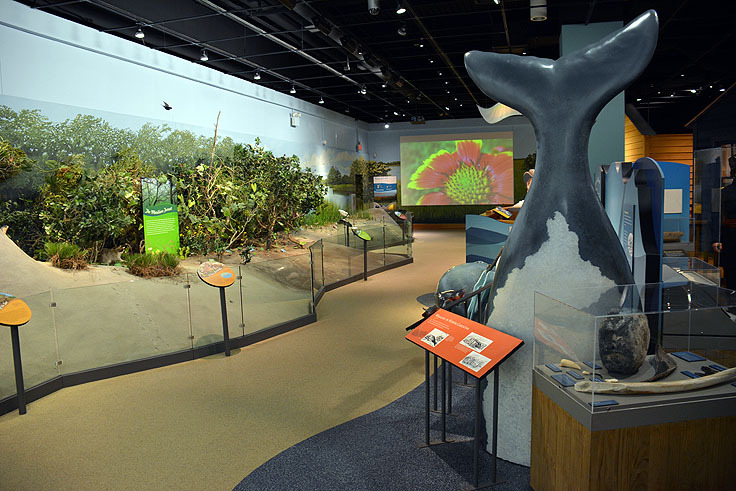 Room where a wide array of artifacts can be admired from a number of North Carolina shipwrecks, and where visitors can chart their course or plan a voyage before their next diving expedition. 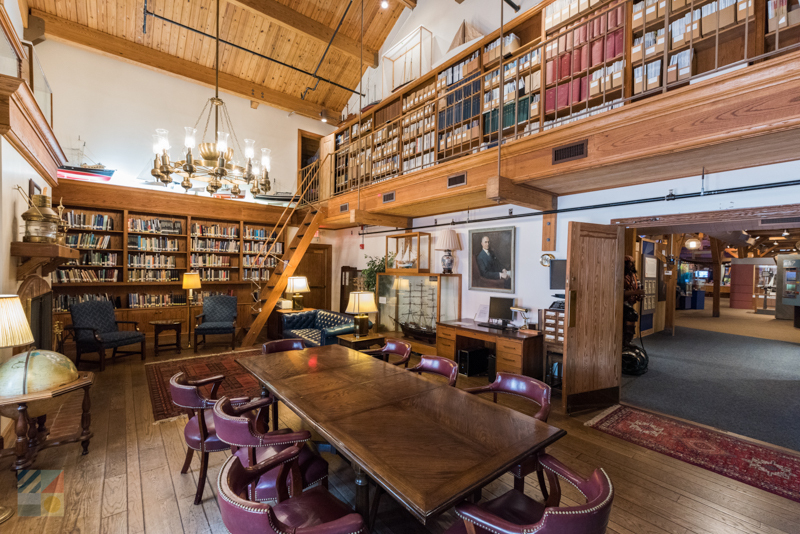 From a casual visit for a little area research to a host of programs that will peak a wide range of educational or creative interests, the Webb Memorial Library and Civic Center is an enticing spot for locals and visitors alike. Amid the hustle and bustle of Atlantic Beach, visitors will find a beautifully pristine representation of the local natural environment when they pay a visit to the Hoop Pole Creek Nature Trail. 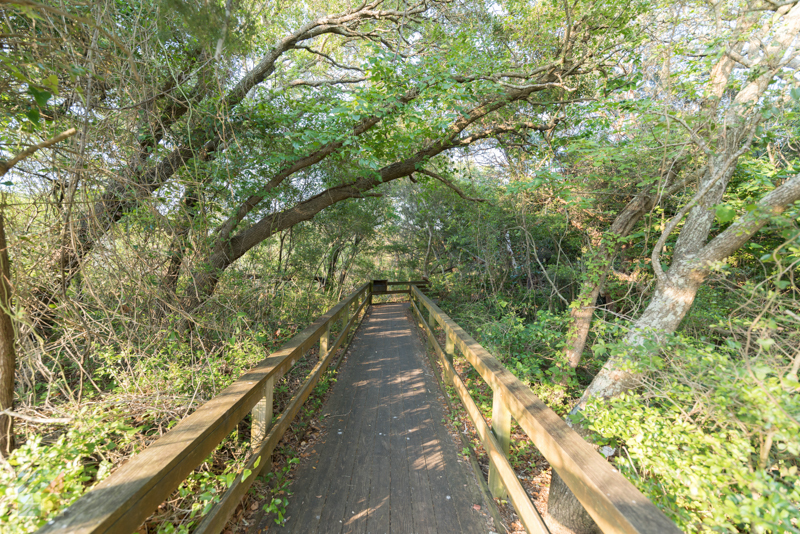 Located just a 5-10 minute drive away from the heart of Downtown Beaufort, this short and low impact ½ mile long nature trail is easy to traverse for visitors of all ages and hiking abilities, and is a scenic destination where the local wildlife is on full display. While strolling down the well-tended terrain and wooden boardwalks, visitors will cut through a 31-acre maritime forests before reaching a scenic overlook that connects with the Bogue Sound. As a result, explorers can expect to see dozens of different local or migrating water birds, resident crustaceans and reptiles, and even local mammals like raccoons, rabbits, or deer. Free trail guides are available at the entrance, and the trail itself is located directly off of Highway 58, next to the expansive Atlantic Station Shopping Center. 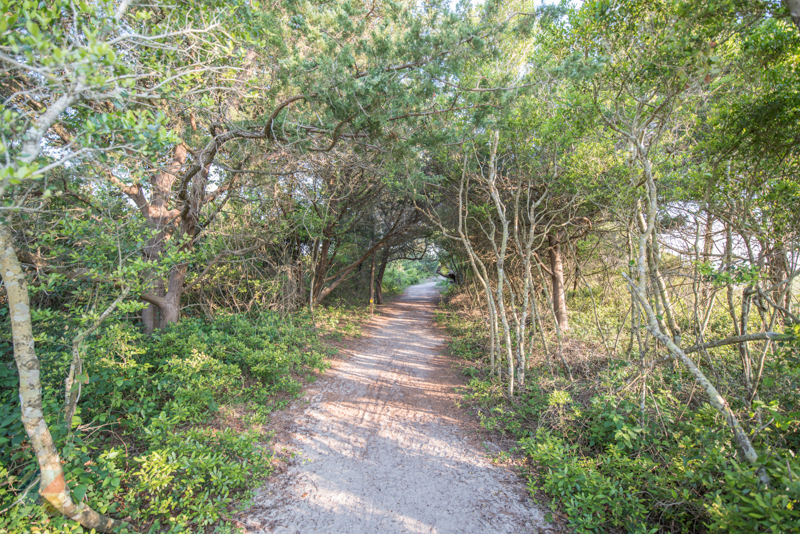 Short but scenic, a quick stroll down this nature trail presents a wholly diverse view of the local wildlife that the Crystal Coast is known for. All of the different aspects of the local Crystal Coast culture and history come to vivid life at the North Carolina Maritime Museum in Beaufort – one of the most popular and highly acclaimed attractions in the southern Outer Banks region. This museum, which is located just a quick 10-15 drive away from Morehead City, has a large array of displays that outline the story of the coastline in general, from the early Native Americans to the modern commercial and recreational fishing industries that draw modern vacationers. Favorite attractions within the museum include exhibits on the US Lifesaving Service, artifacts from the area’s role in the Civil War, examples of the region’s history of boat building, and even relics from Blackbeard the Pirate’s favorite ship, the Queen Anne’s Revenge. The museum also boasts seashells from more than 100 countries, pieces of historic shipwrecks that have washed ashore in the area, and even small aquariums where wild residents can be found. 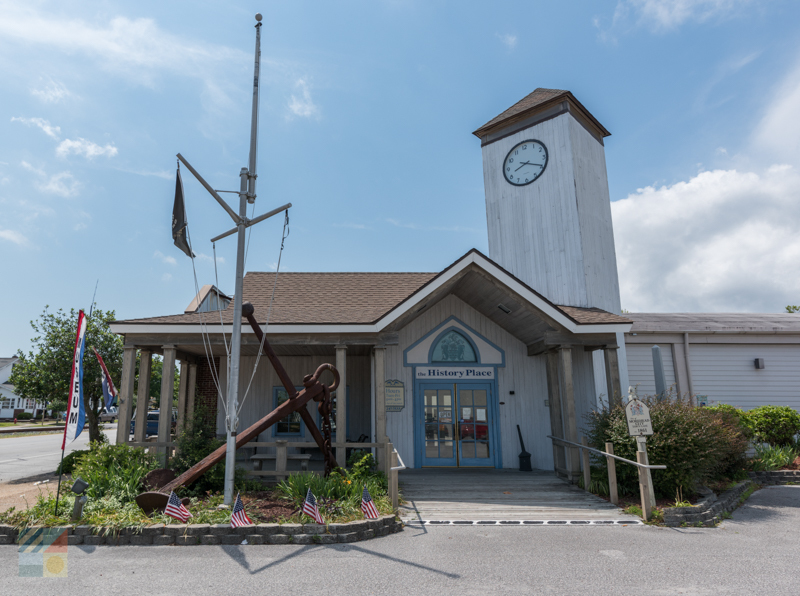 From their regular educational lectures and programs to their daily displays of Crystal Coast artifacts, the NC Maritime Museum in Beaufort is arguably one of the most educational and fascinating destinations along the Crystal Coast. Take a trip to the neighboring town of Beaufort to discover yet another close-to-home natural island paradise with a visit to the Rachel Carson Reserve. This more than 2,300 acre collection of islands is located just across the creek from Downtown Beaufort, and is a beautiful and undeveloped destination to explore the ample wildlife that the Crystal Coast region is renowned for. Strongly influenced by tides and inlet dynamics, and featuring a wide array of coastal habitats that range from shrub thickets to tidal flats and salt marshes, visitors can expect to see a huge array of wildlife here which includes bottlenose dolphins, playful sea otters, several hundred varieties of birds, (depending on the season), and even feral horses. Two nature trails cut through the reserve to allow visitors to explore with relative ease, and the site can be accessed via a very quick paddle or cruise across Taylor’s Creek, or via a ferry ride from one of the many water taxi businesses that line the Beaufort docks. With incredible vegetation and wildlife throughout the complex of islands, (and some pretty spectacular views of Downtown Beaufort from an on-the-water perspective), the Rachel Carson Reserve is as scenic as it is educational. The Beaufort Historic Site is a literal walk through history, thanks to a collection of nine historic homes and structures that have been preserved to create an aura of what the town was like when it was established roughly three centuries ago. Impressive structures within the Historic Site include the original 1796 Carteret County Courthouse, (which is also the oldest wood-framed courthouse in North Carolina), the 1829 Old Jail which was used for more than two centuries, the original doctor’s office and apothecary shop from 1859, and the Leffers Cottage and Garden, which was built in 1778 which features a colorful on-site garden that would have been found in the 1800s. 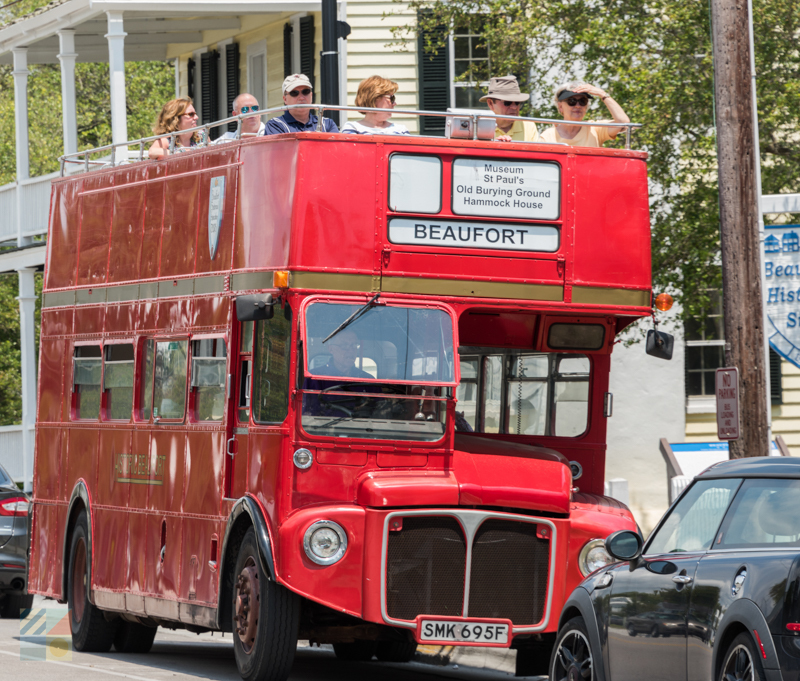 Guided tours of the structures are available through costumed interpreters, and visitors can even extend an exploration by embarking on an area-wide tour on board a vintage 1960s double decker English bus. With special events throughout the year, and pristine historic structures that are stocked with period antiques and treasures, learning about the Crystal Coast region of the 18th and 19th centuries is a walk in the park at this extensive and thoroughly engaging attraction. 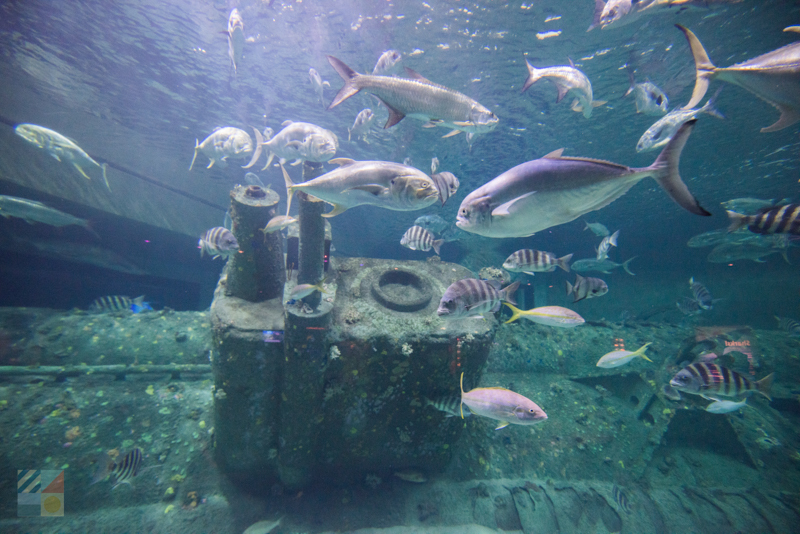 The North Carolina Aquarium at Pine Knoll Shores allows visitors to explore veritably every aspect of the North Carolina underwater landscape, thanks to roughly 50 exhibits that boast more than 4,000 animals on full display. The different regions of the state are divvied up into “galleries,” including the Mountain Gallery, the Piedmont Gallery, the Tidal Waters Gallery, and the Ocean Gallery, allowing visitors to peruse a wide array of colorful species in their natural environments. Popular exhibits within the aquarium include the touch tank where kids can get their hands on a number of harmless animals, the sea turtle rescue station, and the “Living Shipwreck” which is home to some of the aquarium’s largest and most intimidating species, (including sharks!) The aquarium hosts a number of regular programs and special events at its Big Rock Theater, and at different displays within the center itself, and even move fun is found just outside the door, courtesy of a marsh boardwalk and Bogue Sound overlook. With lots of educational displays and activities that will wow family members of all ages, the North Carolina Aquarium at Pine Knoll Shores is the ideal spot to combine learning and fun. Visitors can explore a wild section of barrier island terrain at this destination that’s as well-known for its wildlife as it is for its historic roots. The Theodore Roosevelt State Natural Area is a 265 acre preserve that was donated to the state from the grandchildren of America’s 26th president, and is a scenic attraction that is found adjacent to the North Carolina Aquarium at Pine Knoll Shores – or roughly a 20 minute drive away from the heart of Morehead City. The site has two roughly mile-long nature trails that are named after the former president and the original landowner – the Alice Hoffman Nature Trail and the Roosevelt Nature Trail – and via these routes, visitors will encounter a wide array of natural habitats and wild residents. The area is perhaps most famous as one of the Crystal Coast’s best intact examples of an undeveloped maritime forest, but visitors who explore will also find brilliant views of the local marshes and the Bogue Sound waters. A favorite destination for birdwatchers, thanks to regular sightings of egrets, nesting ospreys, herons, and warblers, this destination is a great venue to further an education on the local wildlife of the Crystal Coast shoreline. One of the most iconic landmarks of the Crystal Coast isn’t found in Morehead City or any of the adjacent beach towns that are popular tourist destinations – instead it’s found miles away on a stretch of shoreline that extends for 56 miles and which is undeveloped and undisturbed. The site in question is the Cape Lookout Lighthouse, and it’s a historic 1859 lighthouse that is distinctive for its black and white diamond pattern, as well as its impressive stature that hovers a full 163’ ft. above sea level. Reaching this destination will take a little bit of legwork – a ferry from the Morehead City waterfront or the adjacent town of Beaufort will be required - but the ensuing trip is well worth the effort. Once on the site, seasonal summertime visitors can climb the lighthouse all the way to the top for unparalleled views of the Cape Lookout National Seashore, and can stop by the on-site National Park Service Visitors Center to learn all about the lighthouse itself, and the incredible ecology of the National Seashore. 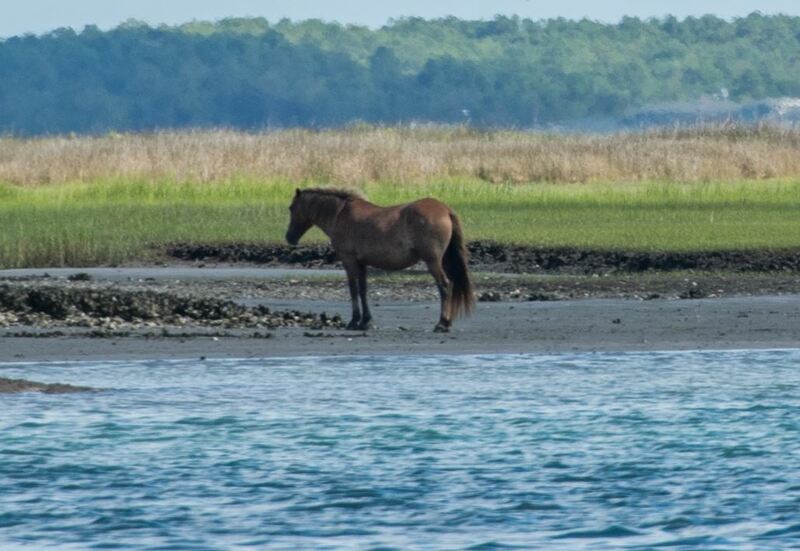 The Cape Lookout National Seashore is also home to herds of wild horses, (also known as “Banker Ponies,”) which are thought to be the descendants of Spanish mustangs that were shipwrecked in the 15th century, and which freely roam the beaches, undisturbed by the rare human visitors. 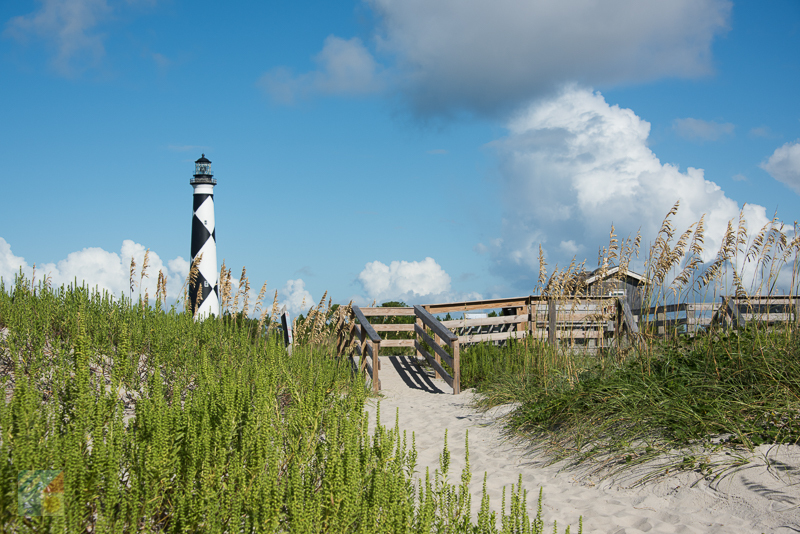 With exceptional shelling, fishing, birdwatching, and beautiful scenery in every direction, the National Seashore and Cape Lookout Lighthouse might be a bit of a trek from Morehead City, but it’s also an educational and unforgettable adventure that visitors will truly treasure. For a tour through a community with equally deep ties to the water but in an entirely different way, Morehead City visitors will want to take an afternoon or day trip to neighboring Harkers Island. This coastal community that has been honing the art of fishing and decoy carving for generations is the site of the Core Sound Waterfowl Museum & Heritage Center, where a tapestry of stories and displays on this unique backbone can be discovered in great detail. Exhibits within the museum include representations of the living traditions of boat building, decoy carving, and commercial fishing, and the site regularly hosts live demonstrations and other special educational programs to delve into this history even further. After an hour or so at the museum, visitors can see these traditions at work with an easy cruise through the community of Harkers Island itself, where a collection of historic residences, unique gift shops, and beautiful glimpses of the distant Cape Lookout Lighthouse can all be enjoyed. Distinctive for its atmosphere and maritime history, Harkers Island is a must see destination for anyone who wants to expand their knowledge and love of the water. One of the best aspects of touring the local educational attractions of Morehead City and beyond is the price. Many museums are free or accessible for a small fee or donation, while the area’s nature reserves and refuges are wide open to the visiting public. Visitors who are touring the local reserves and nature trails in the summer will want to come armed with bug spray, as the mosquitos can be thick. In addition, sturdy shoes are recommended to navigate through the sometimes swampy terrain, and long pants will come in handy to get through heavily vegetated regions without a scratch. The gift stores within the local museums and historic sites are ideal for one-of-a-kind treasures and souvenirs, as well as a wealth of local books, maps, and publications to dive into the local culture even further. A historical tour of Morehead City can be as simple as a downtown stroll. A number of structures within the town are listed on the National Register of Historic Places, and several public parks, (like Jaycee Park along the waterfront), boast statues, artifacts, and / or historical markers to indicate the region’s significance. Want an easy way to explore the outlying islands and barrier island destinations? Then book a tour! 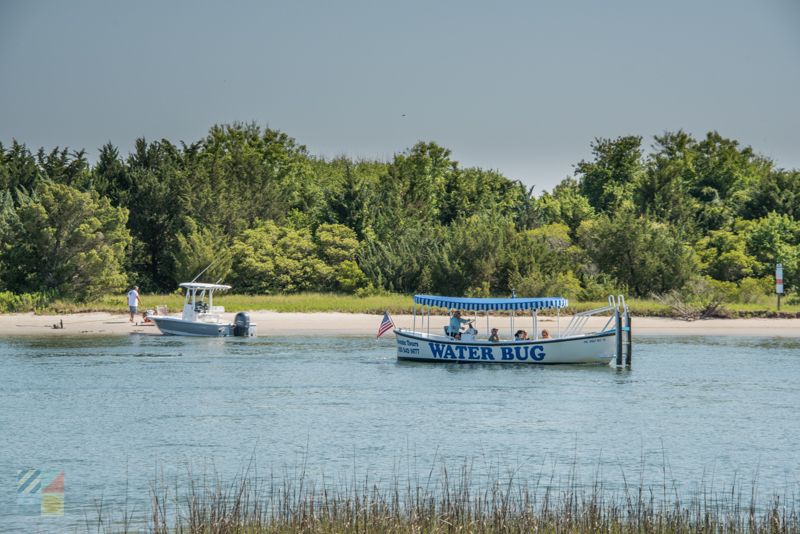 A number of water tours depart from Morehead City and the adjacent town of Beaufort which can give visitors incredible access to some of the region’s most coveted destinations – all under the guidance of a local expert! Morehead City is a community that is steeped in history, wild environments, and a proud maritime culture, so it should come as no surprise that finding an educational outing or two to enjoy during a vacation is an easy feat indeed. Check out the local museums, discover a new gallery or two, or just spend the day winding through barrier island nature trails. No matter where your educational interests lay, you can always find a world of adventures waiting with a visit to Morehead City.